November 4 at Aragon Ballroom. Pass it on. We have a message: Jawbreaker will return to the Windy City for the first time since reuniting at Riot Fest 2017. 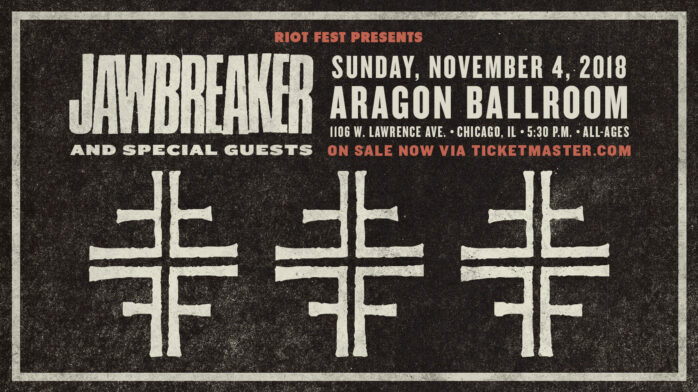 On November 4, the band returns to Aragon Ballroom, which is where they opened for Nirvana in 1993.